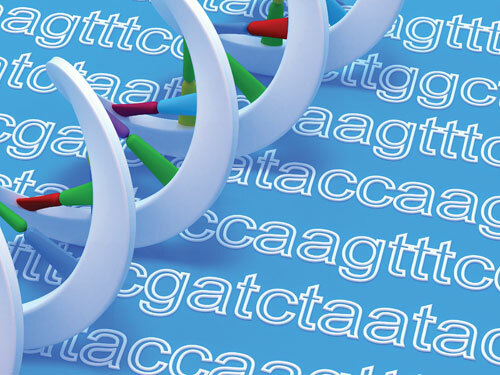 The next-generation sequencing (NGS) market has been and continues to be dominated by Illumina, causing many researchers to complain that the lack of competition is causing the rate of NGS advancement to slow, at least in terms of cost for short-read sequencing. Since the launch of Illumina’s flagship HiSeq X sequencing platform, the cost for a research-grade whole genome has held steady at around $1,000. The only potential competition on the horizon, BGI’s Revolocity (based on technology from Complete Genomics), has since been shelved. However, there have been a number of exciting developments that promise to open up the use of NGS in other areas. One area in which tremendous progress is being made is that of long reads, which are revealing areas of complexity in the genome and transcriptome that defy short-read sequencing. In the analysis of genomes, the primary problem is dealing with repeated sequences of DNA. Repeats longer than the underlying read length can be very difficult or even impossible to uniquely map to the reference genome. The company that’s been getting the most attention lately around long reads is Oxford Nanopore, which first made their nanopore-based sequencer, the MinION, available last spring. Although Oxford Nanopore has stretched the definition of a formal product launch, the company has certainly made its technology available to a broad audience. Over 1,000 research groups are using the MinION in their own laboratories. Within a year following its initial release, the MinION increased its output from less than 100 Mb to over one Gb, primarily through a series of improvements in nanopore design and enzyme chemistry. And while the MinION hardly approaches what Illumina’s platform offers in terms of output, quality, and cost per Gb, the Oxford Nanopore instrument has two main attractions: read length and portability. Users have reported individual reads of over 100 Kb, with average read lengths in the many tens of thousands of bases. DNA input quality and library prep appear to be the only real factors limiting the read length—if you feed the nanopores long DNA molecules, you will get long reads. Because the MinION is a handheld sequencer (with fans arguing over the best size comparator—stapler, USB stick, smart phone, chocolate bar, etc. ), it is even possible to bring the sequencer out to the field where the data is being collected, rather than processing samples after they have been brought back to the laboratory. Data quality lags far behind Illumina, but it is improving over time. The latest R9 pore in “fast mode” is getting accuracy rates up to 95% under the best conditions. Pacific Biosciences, the leader in long-read sequencing, has been generating some excitement of its own. The company announced a major new platform, the Sequel, at ASHG last year. This platform, which is the result of a collaboration with Roche, promises several improvements over the machine it is replacing, the RS II. The Sequel, in comparison with the RS II, generates sevenfold greater output, occupies two-thirds less space, and requires one-half the capital costs. Pacific Biosciences has struggled a bit to get the platform fully launched, dealing both with chemistry issues and supply issues, especially for the consumable SMRT (single molecule, real time) cells. Both issues appear to have been resolved, so we are anxiously awaiting the first customer-generated data. The other player to make waves in this space is 10X Genomics, with its GemCode™ technology, which can generate linked reads from underlying short-read data. Although this technology doesn’t have all the benefits of true long reads (for example, it cannot help with repeats that are longer than the underlying short reads), the linked reads are able to generate substantially better de novo assembly and phased reads. The platform appears to work well enough that Illumina signed a co-marketing agreement with 10X Genomics earlier this year, effectively if quietly signaling the death of Illumina’s own Moleculo synthetic long-read technology. Despite all of the progress, there are still issues with long-read technology, especially for transcriptome sequencing. “One of the issues is the current throughput of these platforms, but the bigger issue is that reverse transcriptases are just not processive enough,” explains Dr. Gravely. “A really great reverse transcriptase—or even better—direct RNA sequencing, would be game changers.” Transcriptome researchers will be happy to note that Oxford Nanopore, which recently published a paper on using the MinION to directly sequence RNA, has plans to launch a commercial kit in the future. Another application that has been gaining a lot of traction is single-cell genomics. Until recently, all NGS projects (with only rare exceptions) were performed on a mixture of cells, anywhere from thousands of cells up to one million cells for a single sequencing library. If all of the cells are completely homogeneous, as is generally the case for somatic cell genomes, this isn’t really a problem. However, there are several applications where the cells are not homogeneous, and pooling them together masks critical information. For example, tumor biopsies are notoriously heterogeneous, comprising both somatic and cancer cells. And even the cancer cells from the same tumor can have substantially different genomes. Pooling multiple cells together will produce a mixed genomic profile, complicating the interpretation. Variations present in only a small number of cells may be completely obscured. A strategy some are starting to attempt is to take several single-cell measurements from different locations within the biopsy. If enough individual measurements are made, a comprehensive view of the tumor genome can be built up. Transcriptomics is another application that is starting to benefit from the single-cell approach. The transcriptome can be highly variable from cell to cell, and pooling cells together can obscure the underlying variability in gene-expression patterns. Yet another notable NGS development is the introduction of liquid biopsies for cancer diagnosis. The use of NGS is becoming somewhat routine in the diagnosis of cancer tumor biopsies, with Foundation Medicine’s FoundationOne test being a prime example—a targeted panel of 315 cancer-related genes combined into a single test. These panel-based tests are replacing the more traditional, single-gene tests. Cancer diagnostics are also shifting from tumor biopsies to liquid biopsies. Instead of extracting DNA from a section of the tumor, cancer liquid biopsies involve extracting either circulating tumor cells (CTCs) or cell free DNA (cfDNA) from the patient’s blood. While solid tumor biopsies won’t go away due to the anatomical and cellular structure information they provide, there’s a lot of excitement around liquid biopsies because of the versatility they offer. As might be expected in a hot new field, several new companies are being formed, and more established companies are retooling to take advantage of what is expected to be a large and growing market. At AllSeq we are tracking over 35 companies in this space. Illumina, whose sequencing technology is being used by most of these companies, has decided it wants to get in the game as well by spinning out its own liquid biopsy company, Grail. However, perhaps in an effort to avoid the appearance of competing directly with its own customers, Illumina reports that Grail will be focusing on presymptomatic screening, a much more challenging task that none of the other companies has yet to focus on. While Illumina looks to continue dominating the market for high-throughput short reads, we are keeping our eyes out for advancements in other areas. Oxford Nanopore has announced a lot of upcoming launches, including its high-throughput nanopore sequencer, the PromethION. The company claims that it will have the throughput to compete with Illumina’s HiSeq X. The PromethION is currently in the hands of at least a couple of early-access customers, but there is no firm launch date yet. Oxford Nanopore is also talking about two instruments for automating sample handling, the VolTRAX and the Zumbador, which promise to further simplify the whole process of sequencing DNA samples. We will also be looking to see how quickly Pacific Bioscience’s Sequel platform gets adopted. It may start bringing the cost of long reads down enough to pull some business away from Illumina. Finally, we’re keeping an eye on clinical applications of NGS. With steady improvements in ease of use and reductions in cost, the barriers to clinical adoption now tend to center more on regulation and reimbursement. With the advent of liquid biopsy assays to monitor treatment response of oncology patients in research studies, proper tracking of samples has become increasingly critical. At the onset of such programs, a minimum of three samples are analyzed for their genetic profile; tumor tissue, normal tissue, and circulating, cell-free DNA. 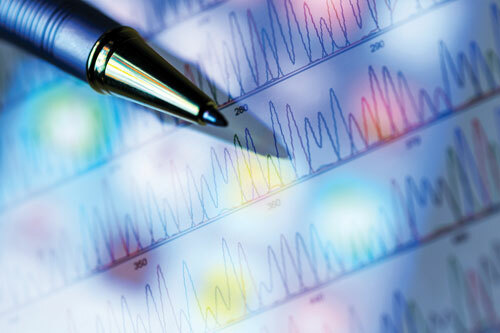 When performing sequencing on a large target such as whole exome sequencing, a genetic fingerprint can be determined to confirm that samples are properly matched during data analysis. However, when sequencing with small targeted panels, a genetic fingerprint cannot be produced, according to Drew McUsic, Ph.D., an application scientist at Swift Biosciences. Searching for an integral, more precise method of sample identification, Swift Biosciences developed the Accel-Amplicon™ Sample_ID panel. A genetic fingerprint provided by the 104 exonic and gender specific amplicons is ideally utilized as a low percentage spike-in to any Swift amplicon-based panel, such as the Accel-Amplicon 56G Oncology Panel v2, explained Dr. McUsic, adding that this results in sample identification from low depth sequencing of germline targets while still enabling high depth of coverage for somatic mutation detection. The Accel-Amplicon 56G Oncology Panel v2 includes Sample_ID targets spiked-in at low percentage, allowing for somatic mutation detection using high depth of coverage and sample identification of germline targets using low coverage depth. Shawn C. Baker, Ph.D. is Co-founder and CSO of AllSeq, Inc. He can be reached at shawn@allseq.com.